Tiles are designed to be sturdy and long-term flooring solutions for residential and commercial spaces. Tiled floors should be cleaned on a regular basis to make them last longer while maintaining their sheen. However, as much as regular floor scrubbing is effective in keeping your tiles clean, tile and grout cleaning in Livermore, CA services are often needed to ensure that your commercial space looks professional. The following are compelling reasons why your office, hospital or hotel should be occasionally cleaned by professionals. Grout denotes the glue that holds different tile pieces together. This flooring material is comprised of cement, which makes it porous and thus renders your floor susceptible to accumulation of residual dirt. While regular cleaning is essential, it’s hardly effective in removing the deeply embedded dirt from your floor. Also, after being exposed to heavy foot traffic and stress during regular cleaning, the protective seal on your floor wears out and exposes the grout to liquid penetration and consequential staining. A professional tile and grout cleaning service will not only clean your grout but also rid it of stains and reseal it for protection. The flooring of commercial space is tasked with creating a great first impression. Thus, it needs to be always sparkling. 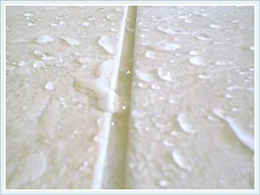 Dirt residue builds up gradually, which makes it difficult to tell how soiled your tiles have become. Regular tile and grout cleaning service will come in handy to remove dirt buildup, leaving you with shiny, bright tiles capable of creating a lasting impression for your business. As much as tiles are sturdy, they need proper care to maintain their natural sheen. After analyzing your flooring, the professional tile cleaners will recommend the most effective methods of taking care of it between scheduled cleaning. Tiles in commercial spaces tend to receive heavy foot traffic, which gets them dirty within short periods. As much as regular cleaning eradicates loose debris and dust, the tile and grout require extensive cleaning to get rid of embedded dirt and stains. Professionals dealing with tile and grout cleaning in Livermore, CA can also apply a seal that will prevent your tiles from becoming stained.